Did you know that you could be more successful in actually living up to each of those resolutions by getting a good night’s sleep? It’s true! You’re going to be a nicer person when you’re well rested. We’re not going to spend much time on that because it’s so painfully obvious. The second bullet above doesn’t seem as obvious at first glance, but it would be if you’re a frequent visitor of SleepBetter.org. Scientists are discovering that weight gain is very much linked to lack of sleep, and we’ve covered the topic at length. You can find just a couple of examples of articles here and here. The link between sleep and the last of our three resolution examples may not be quite as easy to figure out. Getting a promotion or finding a job require you to be your best. Sleeping well will improve your memory, cognitive functions, and even your outward appearance. Any and all of those three would have an impact on finding a job or getting ahead in your current one. 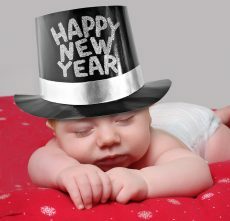 So, before you make your resolution to do the things above, make one to sleep better! Ask Happy Dan: My Husband Won’t Stop Snoring!